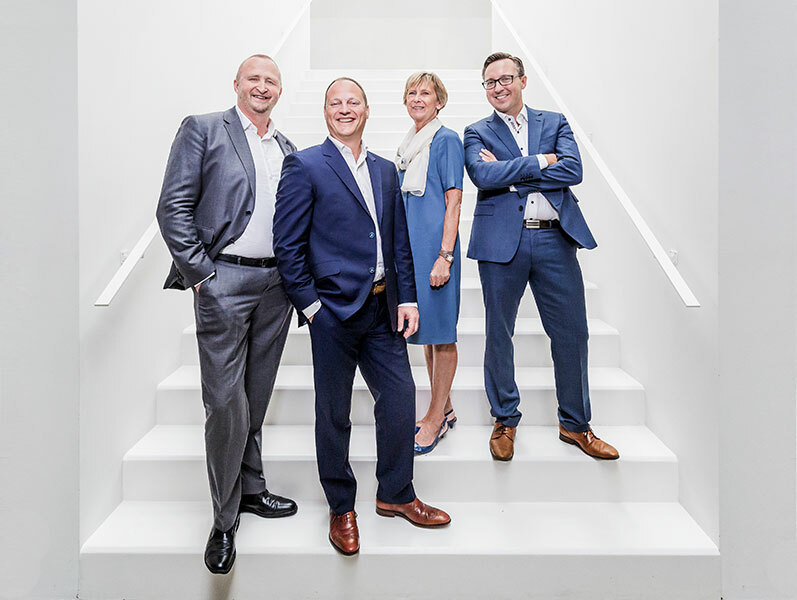 Patrick Waeterinckx, Philippe Vansteenkiste, Véronique Kympers and Jacques Vandeuren created Waeterinckx Vansteenkiste Advocaten by joining forces to create a dynamic, flexible, specialist team. With offices in Brussels and Antwerp, we provide a multilingual service to organisations and business leaders (Dutch, French and English). We provide our clients with a personalised, thorough approach to our work, perfectly attuned to their requirements and wishes. Patrick Waeterinckx specializes in Criminal Law and Procedure, with a particular focus on Corporate criminal law and white-collar crime. After a career at the Gendarmerie (1985-1997) and as an in-house counsel in the banking sector (1997-1999), he joined the Brussels Bar in 1999 (Bogaert & Vandemeulebroeke, (later Landwell) and Lawfort). In 2003 he became a member of the Antwerp Bar where he worked for Lawfort, Van Goethem Attorneys, Antaxius and Monard Law, as a partner. In September 2016 he started his own law office, Waeterinckx Attorneys. In September 2018 Waeterinckx Vansteenkiste Advocaten was created, joining forces of Waeterinckx Attorneys and Tribus Law, to become a law firm specialized in all aspects of criminal and civil liability law. Patrick Waeterinckx is also a lecturer in Criminal Law and Procedure at the Brussels VUB University. Since 2017 he is teacher and corrector for the Special Training in Supreme Court Procedure in Criminal Cases. Previously, he was involved with Antwerp University (UA) as an assistant in Criminal Law and Procedure and with the Antwerp Management School (AMS) as a tutor. Patrick is also a registered fraud auditor (Institute of Fraud Auditors, IFA). Since 2016 he is also holder of the certificate “Special Training in Supreme Court Procedure in Criminal Cases”. Between 2016 and 2018, Patrick was member of the Parliamentary Inquiry Commission “Out of court settlements”, as an expert. Patrick was mentioned in 2018 by ExpertGuides as an expert in “White Collar Crime” for Belgium. Since 2016 Patrick holds the certificate ‘Special Training Supreme Court Procedure in Criminal Cases’. Patrick Waeterinckx is the author of several scientific contributions in a series of scientific journals and compilations and is a regular speaker at scientific seminars. He is a member of the editorial board of the scientific journal Nullum Crimen. Philippe Vansteenkiste specializes in civil liability law in the broad sense of the term (physical injury, liability disputes in construction matters, accidents at work, commercial damage cases, ...) with a particular focus on managerial liability. Philippe is Master in Law (Vrije Universiteit Brussel (VUB), 1991), and Master in Criminology (Vrije Universiteit Brussel (VUB), 1993. After starting his career at the legal department of the OCMW of Menen, Philippe became teacher in insurance law at the Economische Hogeschool of the Willemsfonds. After this he was appointed assistant and tutor at the Hoger Instituut voor Sociaal en Cultureel Werk (HISKWA Hogeschool) in Brussels. In 1993 Philippe became attorney at the Dutch Bar of Brussels. After his traineeship with MeG. Boliau (previous President of the Bar and of the Orde van Vlaamse Balies), L. De Wolf en H. Buyse, and after having been senior associate with the firm Lambrette & Associates and the attorney association CNTV (Cartuyvels, Nolf, Terlinden & Vinçotte), he was appointed partner with CNTV. In 2016 he started Tribus Law, with Véronique Kympers. In September 2018 he started Waeterinckx Vansteenkiste Attorneys, a law firm in criminal and civil liability law. Philippe also won the Baugniet-prize of the Brussels Bar. Véronique Kympers specializes in bank and credit law, insolvency law and execution law. Véronique is Master in Law (Universiteit Gent, 1977). After an interruption of a couple of years to raise her four children, Véronique has been an attorney first at the Dendermonde Bar and since 2001 at the Dutch Bar of Brussels. From 2001 to 2016 Véronique was a senior associate with the firm Cartuyvels, Nolf, Terlinden & Vinçotte. In 2016 she started Tribus Law, with Philippe Vansteenkiste. In september 2018 she participated in the start of Waeterinckx Vansteenkiste Attorneys, as a partner. Jacques Vandeuren concentrates on all aspects of corporate criminal law, with a particular focus on liability of the various stakeholders in the construction area (architects, contractors, building companies etc.). Jacques is Master in Law (Katholieke Universiteit Leuven, 2004) and has obtained a degree in 2006 as Master in Criminal law and Criminal science, Université de Poitiers (Frankrijk). Jacques has been an attorney at the Brussels Bar since 2006. In 2008 he became second at the pleading competition of the Dutch Brussels Bar. From 2010 to 2016 he was also assistant at the Institute of Criminal Law and Procedure at KULeuven. Jacques is author of various legal contributions and was a speaker at national and international seminars. Since January 2016 Jacques hold the certificate of ‘Special Training in Supreme Court Procedure in Criminal Cases’, so he can act as an attorney in criminal cases before the Supreme Court. Jacques is still guest tutor at KULeuven, where he lectures in the training “Special Criminal law”. Jacques is multilingual and assists clients in Dutch, French and English. Jacques was associate with Nelissen Grade and Five Legal, and subsequently partner at the attorney association CNTV (Cartuyvels, Nolf, Terlinden & Vinçotte) and Tribus Law. In September 2018 he participated in the start-up of Waeterinckx Vansteenkiste Attorneys, as a partner. Joris Lambrechts specialises in Criminal Law and Procedure, with a particular focus on Corporate Criminal Law. He obtained a Master in Law at the Antwerp University (2009) and the ‘Master Class Forensic Auditing’ certificate at the Antwerp Management School (2012). He is also a registered fraud auditor at the Institute of Fraud Auditors (IFA) and is holder of the certificate ‘Special Training in Supreme Court Procedure in Criminal Cases’ since 2016. Joris joined the Antwerp Bar in 2009 and worked as an attorney with Antaxius and Monard Law. He joined Waeterinckx Attorneys since its creation in 2016 and is part of Waeterinckx Vansteenkiste Attorneys since September 2018. In 2015-2016 he was member of the Board of “De Vlaamse Conferentie” of the Antwerp Bar. Joris regularly speaks at seminars on different topics of corporate criminal law. Ruben Van Herpe specializes in Criminal Law and Procedure, with a particular focus on Corporate Criminal Law. He obtained a Master’s degree in Law (Catholic University of Leuven, 2013) as well as a Post Master degree in Tax Law (Catholic University of Leuven, 2014). He has been a member of the Antwerp Bar since 2014 and has been working for Waeterinckx Attorneys since its start in 2016. Since its creation in September 2018, Ruben is part of Waeterinckx Vansteenkiste Attorneys. Ruben obtained the certificate of ‘Special Training Supreme Court Procedure in Criminal Cases’ and of the certificate “Permanent Training Customs & Excise-duties”. In September 2017 Ruben was appointed part-time assistant in Criminal Law and Procedure at the Catholic University of Leuven. Maïté Vandevenne is mainly active in cases of civil liability (injuries, construction damage,…) and of insolvency law. Maïté is Master in Law (Katholieke Universiteit Leuven, 2014). Maité has been an attorney at the Dutch Bar of Brussels since 2014. She has been working with Tribus Law since 2016 and is part of Waeterinckx Vansteenkiste Attorneys since its start in September 2018. Julie Vienne specializes in civil liability law, with a particular focus on injuries. Julie is Master in Law (Université Catholique de Louvain-la-Neuve, 2014). Since February 2015 she is attorney at the French Bar of Brussels. She started working with Tribus Law in 2016 and is now part of Waeterinckx Vansteenkiste Attorneys created in September 2018. Sylvie Rassaerts treats cases in insolvency law and civil liability law. Sylvie is Master in Law (Université Libre de Bruxelles, 2014) and Master in Criminology (Université Libre de Bruxelles, 2015). Before joining the French Bar of Brussels in July 2017, Sylvie worked for 2 years as a company lawyer and thus acquired an experience in contract law, corporate law and insolvency law. In 2017 she became part of Tribus Law and since September 2018 she’s part of Waeterinckx Vansteenkiste Attorneys. Laura Davidt focuses on criminal and civil liability law. Laura is Master in Law (Université Libre de Bruxelles, 2017). Laura has been attorney with the French Bar of Brussels since September 4, 2017. She has a passion about criminal law and already followed traineeships in District Attorneys’ offices and with a law firm specialized in common criminal law. She has joined Waeterinckx Vansteenkiste Attorneys in 2018. Julie Petersen specializes in Criminal Law and Procedure. Julie is Master in Law (Universiteit Antwerpen, 2018) and Bachelor in Applied Linguistics, French-Italian (KU Leuven, 2014). Julie’s thesis (“Expanding the criminalization of speech in response to terrorism?”) was awarded in 2018 the prize of the Attorneys’ Association of Antwerp. During her studies Julie won the National Pleading Competition ‘Constitutional Law and Human Rights Law’ (2018). Julie also followed a summer course “Legal studies: Punishment, Culture and Society’ (University of California – Berkeley, 2017). She joined Waeterinckx Vansteenkiste Attorneys in September 2018. She is also researcher at the Universiteit Antwerpen (‘Law enforcement’ department) and prepares a PhD at the same university. Martine Veyssière has an extensive experience in Human Resources and Communications management which she has practiced through several executive positions in the oil and energy private sector. Martine was also a Board Member in several boards, a.o. of pension funds. Martine graduated as a Master in Translation in Dutch, English and Russian (Antwerp University, 1986). She joined Waeterinckx Attorneys in late 2016, as Chief Administration Officer. In this respect she manages Administration, Finance, Human Resources and Marketing. She now has the same responsibilities with Waeterinckx-Vansteenkiste Attorneys.